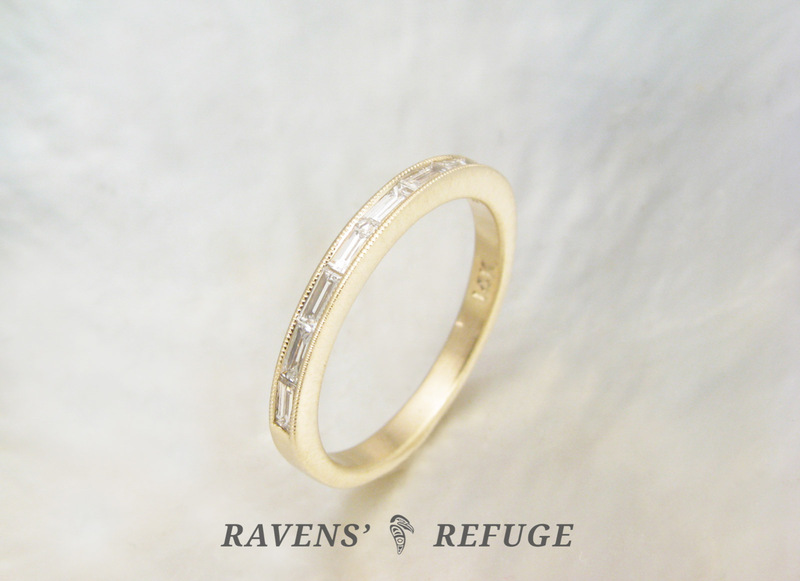 This lovely ring cradles seven channel set baguette diamonds, each 3mm x 1.25mm, SI / G-H quality. 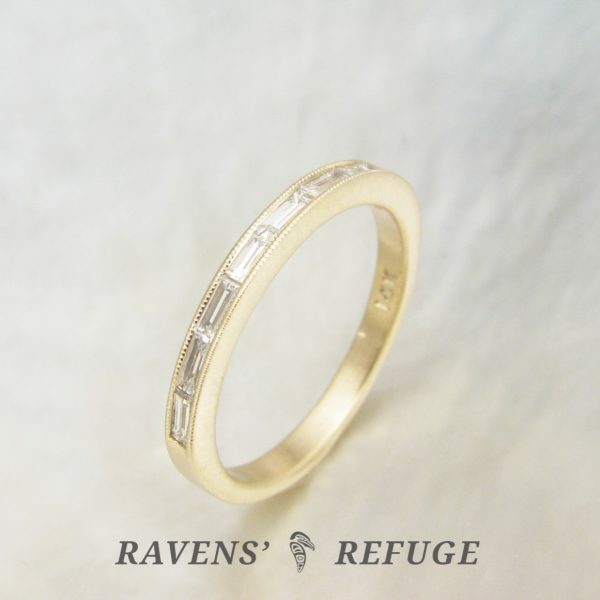 The 14k yellow gold band is 2mm wide; and has a thickness of 1.7mm at the top, tapering to 1.5mm at the base. 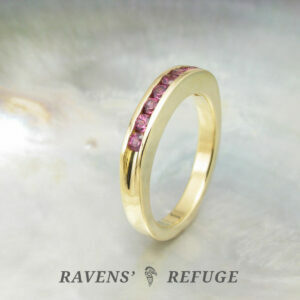 Dan has outlined the two exterior banks of the diamonds with milgrain. 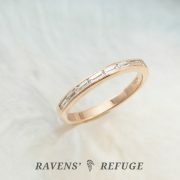 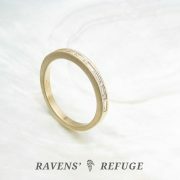 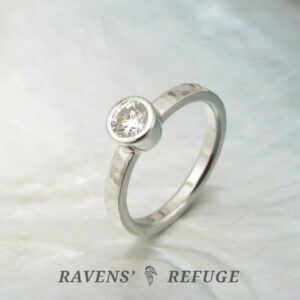 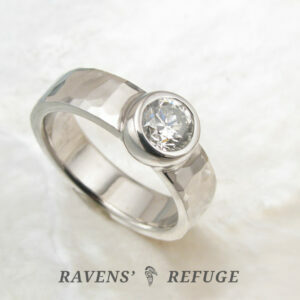 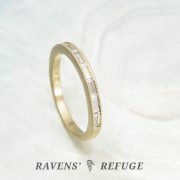 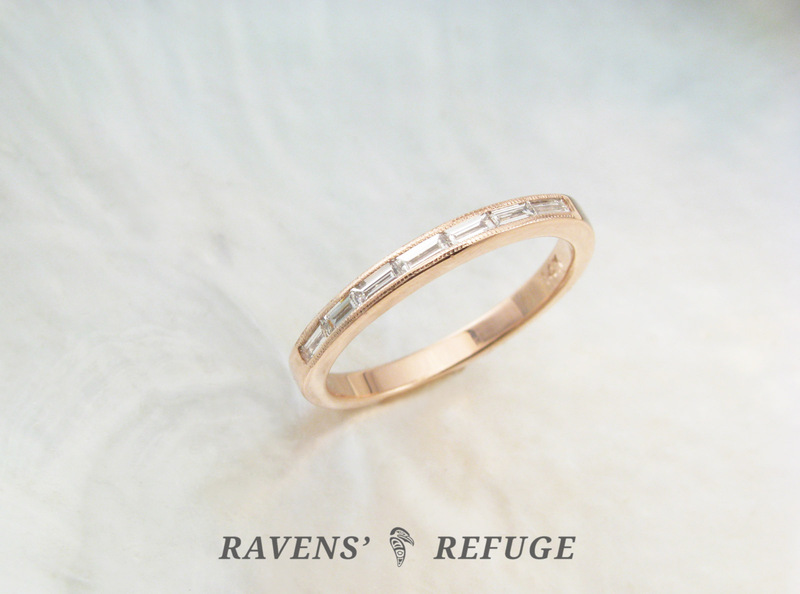 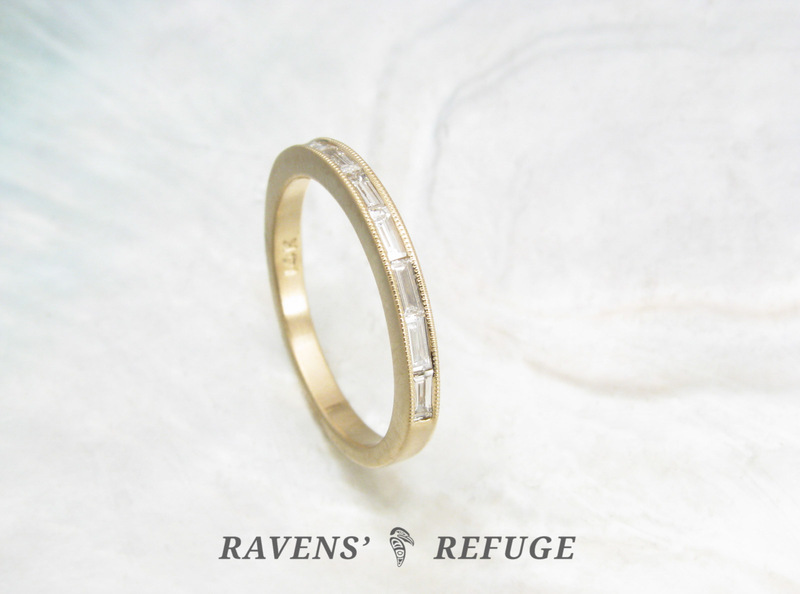 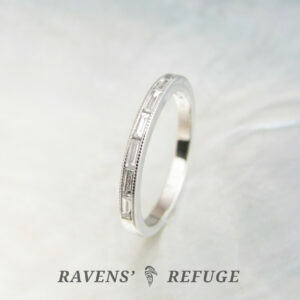 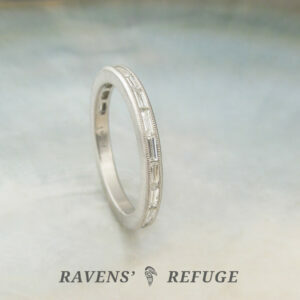 This ring is excellent for a woman who wants a low profile ring that still packs some serious sparkle.